Welcome to PKPELTIER, your SEO Company. 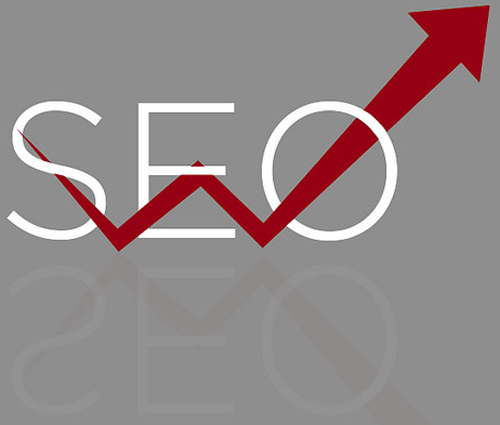 We thank you for considering our SEO Services to assist you in your Website Visibility. You want more traffic on your website, and after receiving your Complete Website Audit, we can provide you with a solid plan to get what you want. Our only goal is to provide the best services for your website, and if we do not believe we can put you on top of multiple search results pages, we will not offer our services... simple as that! Request your complete website audit and find out what can be done to help you get the traffic you seek. PKPELTIER began in October of 1998 originally focused on the construction and renovation sectors of the Greater Toronto Area, and has since expanded to worldwide multi-topic SEO services. With over 30 specialized SEO Professionals located around the globe, we now have the ability to put your website on top of Organic and Local Search Result Pages for multiple keywords quickly and effectively. 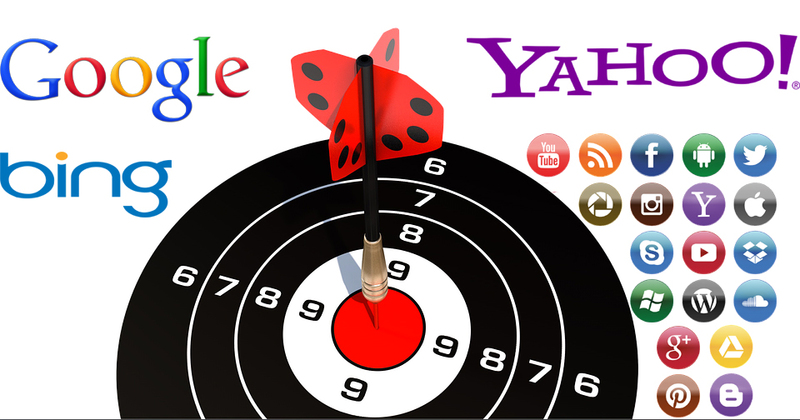 Use our SEO Services with Complete Website Audit. Using an SEO Site Audit can help you find the right people. SEO: The process of improving a website's natural or organic visibility in online searches for a related topic. Ultimately, if you have a website for boots, you are not concerned with those whom search for audio equipment. You want to be in the face of those searching for your 'specific or general topic', in this case boots. Search audiences can range from very specific to a broad range of people. For example; you may sell wheelchairs which would be a specific audience, while selling large collection of various cell phone cases would have an audience of cell phone users - considerably larger a group I'm sure. Search Results: There are three common ways to be on the first page of a search. Firstly, there's Paid Links. This is easiest, has great value but also needs to be part of any SEO Campaign, as it requires much keyword research and content planning to be effective. The other two ways, Local and Organic, are more valuable to users because it appears to be a more natural (or organic) match of results according to their search. Deciding which one (or combination of them) to be in your SEO Campaign is something you should discuss with your SEO Professional. Organic Search Results: When a user types in any search, the top of the page may have some 'paid' search results. This has value, but what lies below is the results that 'naturally' match the users search. These results are of priceless value to nearly any website wanting to create the most reach. 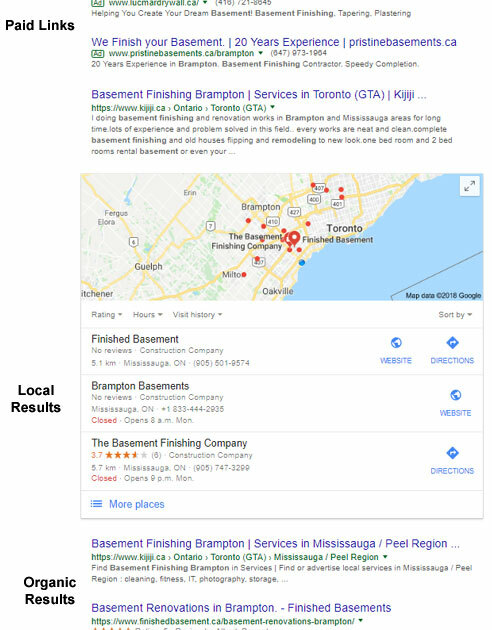 It is important to note here, local search results and web search results are very different and can be a critical point in how you create your SEO Campaign. Local vs Organic SEO: The main difference between Local SEO and Organic SEO is how you intend to reach your potential visitors. Organ SEO is designed to reach a region based on keyword or key term searches, while Local is design to reach 'Locals' based on a specific search term. Sounds the same, but how you perform the SEO Campaign is different. For example; A tire business might build a website to target his local city for 'tires', but Local SEO will create very specific pages, off-page links, etc to show his actual business, its location, directions, store hours, reviews, etc. This would provide a result such as the one here in the photo. Often times, campaigns for local business will include both SEO Campaigns, unless it isn't needed due to supplying enough clientele by Local alone. Knowing Your Audience: You know your product better than many others, I'm sure.But do you know how they search? What are the exact 'most common' search phases typed into the top three search engines worldwide, or more accurately, in the area in which you sell. I remember a client with a cleaning business that wanted the keywords to be maid services. Well, to their surprise, the most common search term in their city wasn't maids, but rather 'home cleaning services'. This was searched for 11 times more often than maid services. This is critically important! You will also need to determine which Social Platforms your audience uses. Are they likely to watch a video, view a picture or read a blog about your website topic? Knowing how to be in front and engage your audience requires much attention and should not be brushed off as basic. Keyword Research: Knowing the keywords used in searches of those seeking your product, service or topic, is the key (hence 'key'words) to getting in front of your target audience. This is the easier of all tasks in creating an SEO campaign but often skimmed over too quickly and as such, critical elements such as competition level and geographic factors are not taken into account. Remember the maid services - good example! SEO Campaigns: Creating SEO Campaigns for websites is a complete process, often one which is time consuming, causing it to not a valid option for those running a business or just following a passion / hobby. Time required and the education of this process are usually out of reach of those wanting to be on top of internet searches, and just like their bookkeeping or marketing, they often out-source this process. Campaigns can be simple page optimizations for some keywords, or even go as far as including a full Social Engagement aspect for their website. The best way to determine what campaigns should include is to do a thorough Website Audit. So, What's First? This is almost always the question which follows, 'How to I get on the first page of search results'? The first step is to have a complete analysis of your website done. This is called a website audit. It includes many things such as Backlinks, Meta Tags, Content, Keywords and the current rankings of each page, Spelling, Image ALT Tags, Title Tags, Internal and External linking, Social Media Metrics and more. 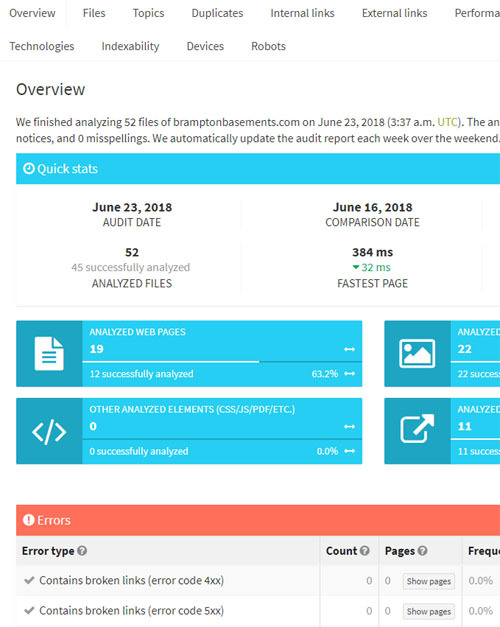 Website Audits: In short a website audit is a thorough analysis of your website. It usually comes with a report of findings and recommendations. These findings can range from detailed to general due to the life span, topic and demographics of a website's topic, goal and of course competition. It is the primary basis in which SEO Campaigns are designed, and more importantly, tells you where you are today and where you can be in the near future.